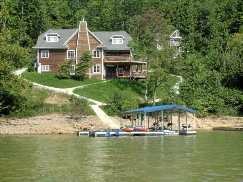 Immedate access to Norris Lake from these lakefront condos. Deerlake Condos offer private community swimming pool, central heating and air. All are luxuriously furnished with whirlpool baths, direct tv, fully equipped kitchens. Each unit has private decks to grill and enjoy the boats on the water.